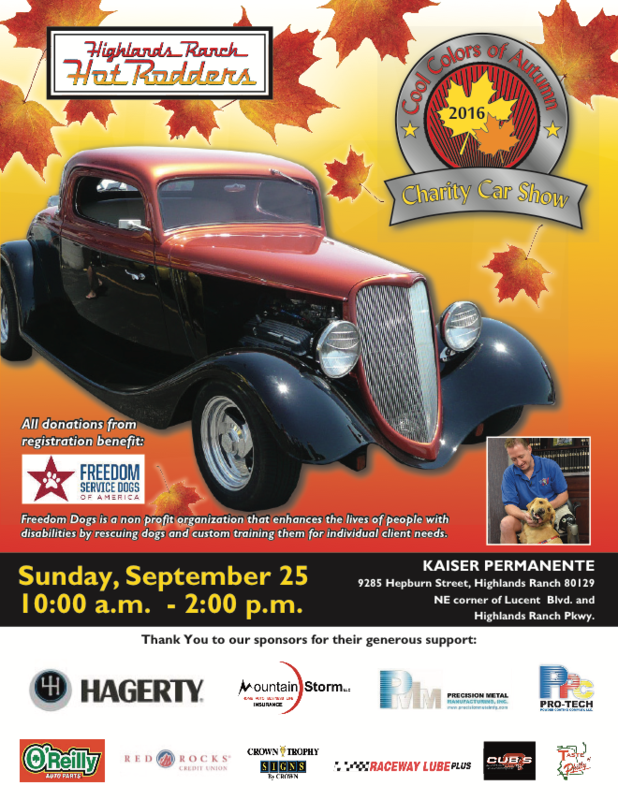 On Sunday, September 25, the Highlands Ranch Hot Rodders are hosting their Cool Colors of Autumn Charity Car Show, benefiting the Freedom Service Dogs of America. The car show is from 10:00 am to 2:00 pm at Kaiser Permanente in Highlands Ranch (map). Entry is free and you can register at the event.